This is an easy main dish that is fulfilling and tasty. 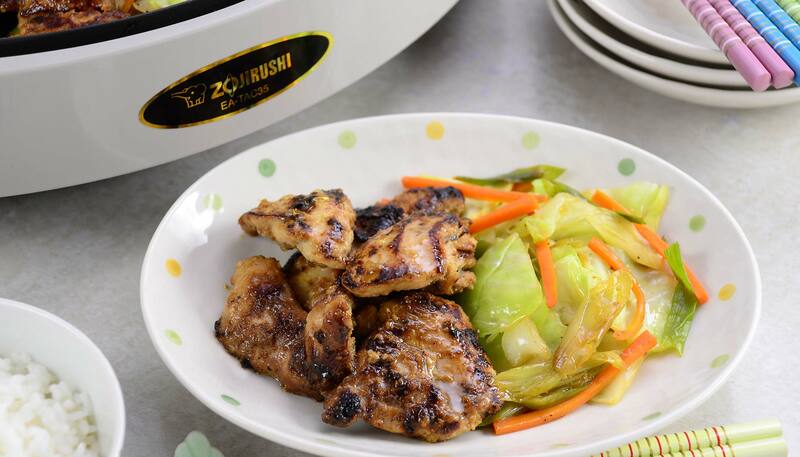 The salty and nutty flavor of miso marinade and juicy chicken will definitely satisfy your hunger. How about a taste of umami for dinner tonight? 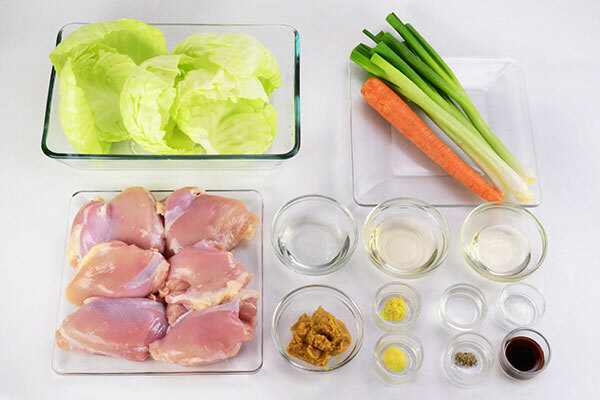 Cut each chicken thigh into 3 pieces. 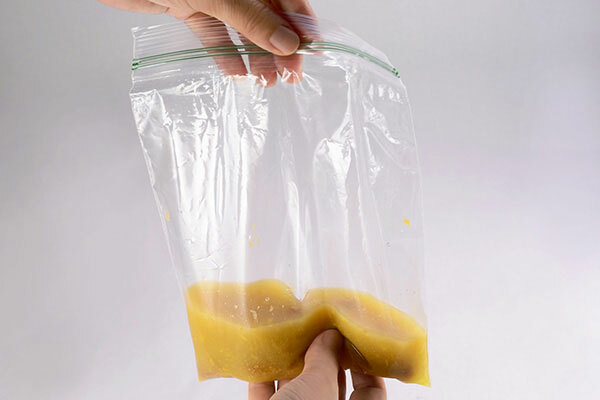 Place miso, sake, mirin, garlic and ginger in a plastic bag. Tightly seal the bag and mix ingredients well. 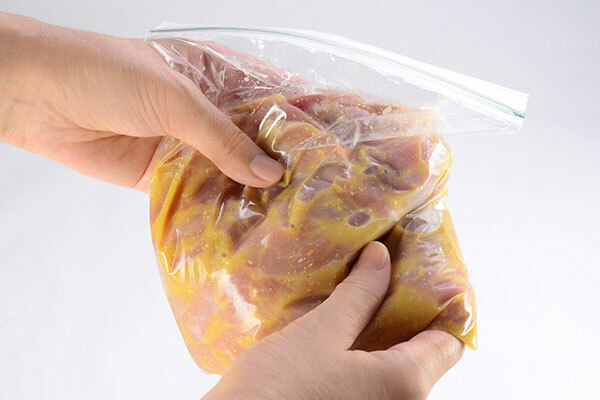 Add chicken pieces to the bag and distribute sauce with fingers over the bag, making sure all areas of chicken are covered. 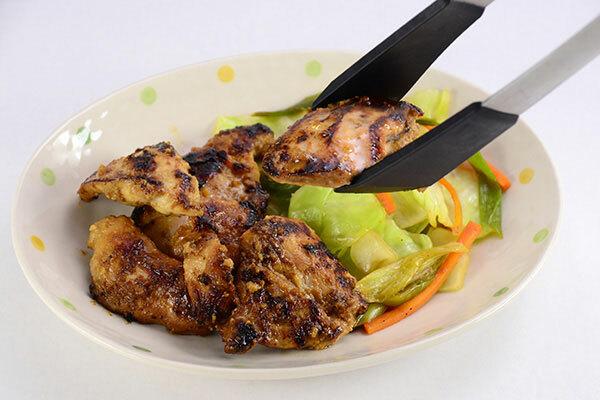 Marinate for at least 2 hours, or up to 24 hours. 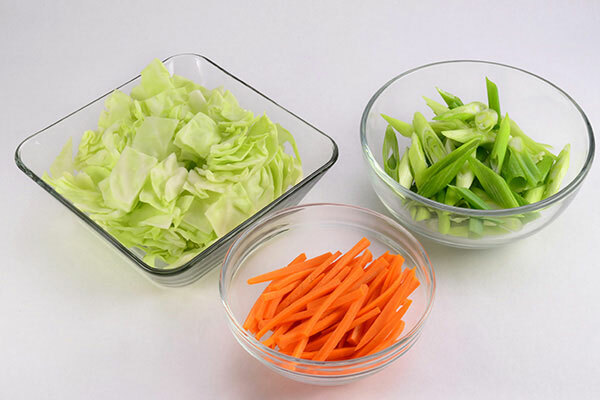 After the chicken marinates, cut cabbage into bite size pieces, peel and julienne carrot and slice scallions at an angle into approximately 2-inch long sections. 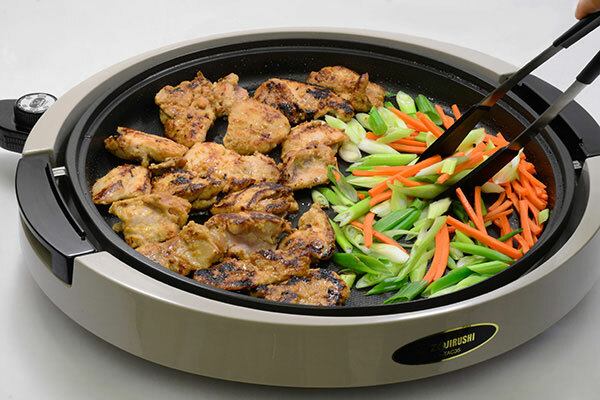 Turn on the Gourmet Sizzler® Electric Griddle, set to 280ºF, add oil and wait until the pilot lamp turns off. 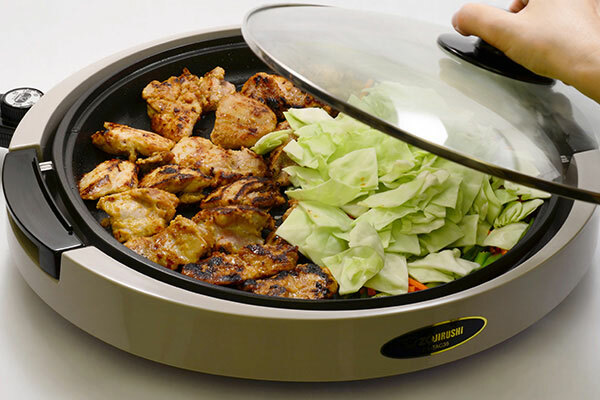 Wipe off excess liquid from chicken and place on the skillet and cook for 5-7 minutes. When bottom side browns, flip and place to one side of the pan to make room, then add scallion and carrot slices. Add salt and pepper to vegetables and sauté for one minute. 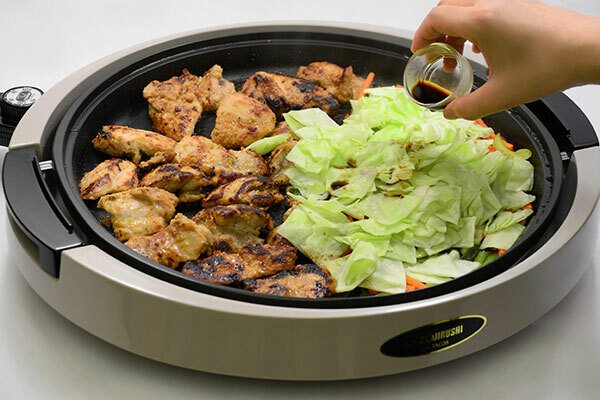 Place cabbage on top of vegetables, pour 1 tablespoon sake, cover with the lid and cook for 3 minutes. Open the lid and add soy sauce to vegetable side and mix. Cook four more minutes or until the chicken is done. 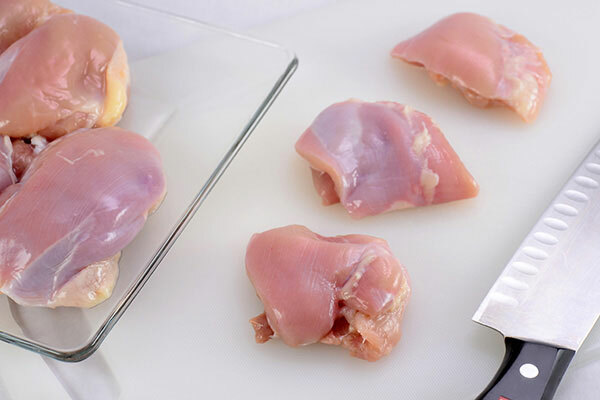 To test doneness, take a chicken piece off the skillet and cut with knife (juice should run clear).